Tripleplay will be unveiling a variety of new products at this year’s Integrated Systems Europe exhibition, taking place at the RAI in Amsterdam from Tuesday 9th to Friday 12th February. Amongst the solutions will be a super low-latency Tripleplay HD Encoder, the new Tripleplay Mobile Media App for off network video upload and streaming, a high-density Wifi video streaming solution and there will be demonstrations of Tripleplay’s brand new BART software platform, bringing a variety of new features and operational efficiencies. Tripleplay Mobile Media AppTripleplay HD Encoder – The encoder will deliver 250ms video, glass to glass, be low priced and will offer a fantastic solution to the sports industry in particular. 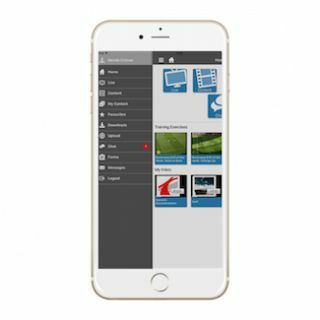 Tripleplay Mobile Media App – The new mobile media application, based around the technology used in the existing TripleStream and TripleChoice Media Portal solutions. It allows off network video streaming, content upload, live TV recording, chat, and secure encrypted download of video files for off network playback. Tripleplay High Density Wifi Video Streaming – A video streaming technology intended to allow the safe, secure, and reliable delivery of media content in environments with densely packed audiences and heavy traffic load. The Tripleplay HDW Video Streaming solution uses a mix of forward error correction and live reporting to deliver a smooth, quality video experience for the user. BART Software Platform – The Tripleplay BART software platform has brought with it a variety of new features including native 4k, Samsung SSP and interactive touchscreen support, as well as improved clustering and resilience features for corporate network environments, as well as providing improved server efficiency, load management and scalability.